Does your company send employees to training courses, seminars and conferences to get up to date information on the industry? TCA can bring professional training to your facility and train all of your staff members for one flat fee. This seminar covers the fundamentals of tariff classification, structure of the tariff and proper application of the tariff to benefit importers. Participants will finish with a robust understanding of the harmonized tariff. The key to proper application of the NAFTA rules of origin is correct tariff classification. 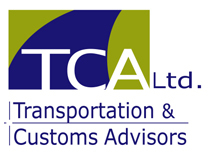 TCA strongly recommends participants attend Tariff Classification prior to attending this seminar. Participants will leave with detailed knowledge of the NAFTA agreement and will benefit from the instructor’s experience with NAFTA audits. Learn ways to protect your company from the financial consequences of supplier errors. Are you struggling to obtain executive level understanding of the audit process? Does Executive Management feel that customs compliance is solely the responsibility of the Customs Department? This seminar provides a clear definition of all aspects of the audit process and defines each department’s role in ensuring customs compliance. Recommended attendees include Executive Management, and representatives from Receiving, Inventory Control, Accounts Payable, Purchasing, IT, and of course, the Customs Department. This seminar will cover the steps to preparing a Customs Compliance manual and keeping it updated. This is your first line of defense to a successful customs compliance program. TCA can also create a customized seminar specific to your company. Email or phone for further details.